Beautiful, spacious accommodations, a spectacular, oceanfront location and plenty of luxury amenities make Sea Cloisters ideal for even the most discerning of guests and residents. Read more about Sea Cloisters real estate. Located along North Ocean Boulevard in the quiet section of Cherry Grove, this charming area of North Myrtle Beach is home to the historic, and newly renovated, Cherry Grove Pier. Cherry Grove is unique in that it is surrounded by both the ocean and the salt marsh inlet. It is because of this that there is abundance of water recreation to be found in this area, including kayaking, canoeing, fishing and boating. 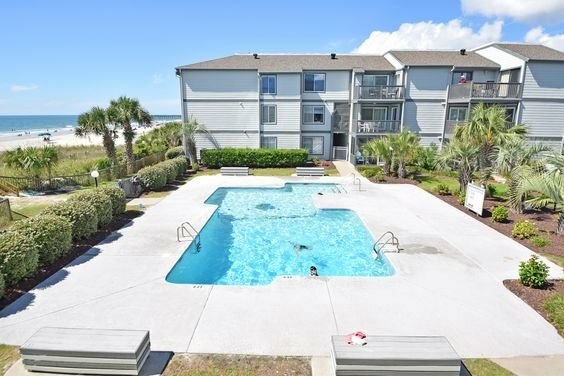 Although Cherry Grove feels secluded and tucked away from the hustle and bustle of Myrtle Beach, it is, in reality, only moments to many of Myrtle Beach’s favorite attractions and entertainment venues. 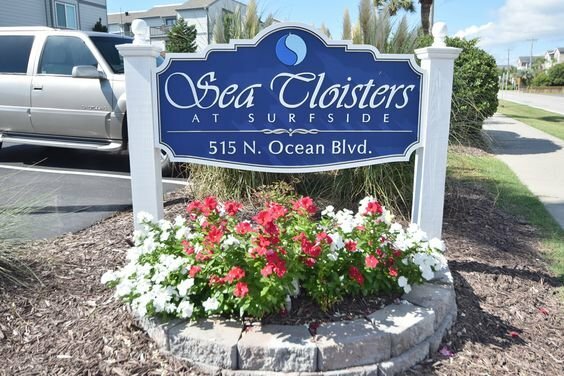 Sea Cloisters features two buildings which boast two-bedrooms and two-bathrooms, as well as three-bedroom and two-bathroom villas. The villas of Sea Cloisters feature expansive windows which offer fantastic views of the white sand beaches and gentling rolling surf, and private balconies which overlook beautifully landscaped grounds. 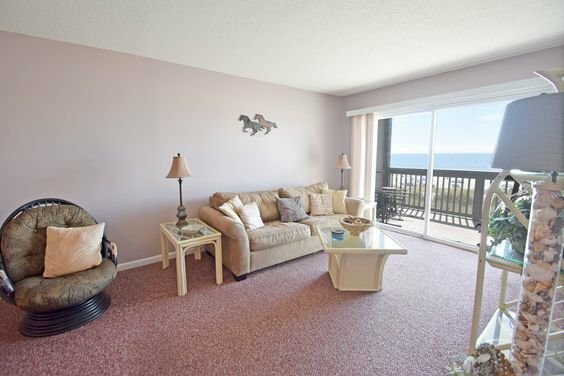 Both oceanfront and ocean view villas are available at Sea Cloisters. The first-floor units feature lovely, beachfront, screened porches for beautiful views of the setting sun; the second floor condos feature covered decks for relaxing in shaded comfort; and the third floor condos feature large, open sundecks to soak up plenty of the warm, South Carolina sunshine. All units of Sea Cloisters include central air conditioning, fully equipped kitchens with microwaves and dishwashers and washers and dryers. Some of the villas include televisions with DVDs and VCRs and wet bars. Other features of Sea Cloisters include beautifully designed interiors, tropical surroundings with natural landscaping, an oceanfront swimming pool and loads of charm and ambience.